We love KidBlog.org because it offers a safe way for students to blog, allowing teachers to maintain control over posted content. Unfortunately, KidBlog does not have an app for students using iPads in school. However, after doing a little research, I discovered that students can use the WordPress app to publish to KidBlog! 6. 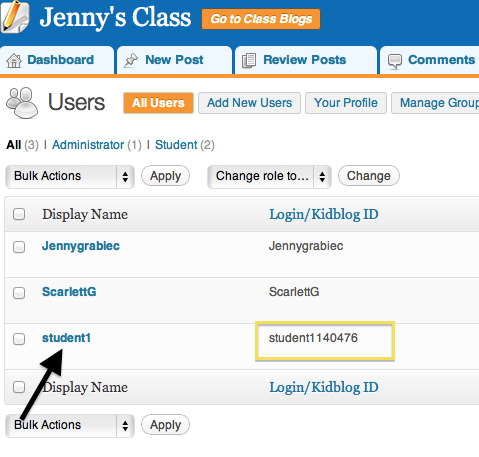 Click on the USERS tab to view the list of student users in your class. NOTE: Sometimes if you use a generic login for students, KidBlog will scramble the ID and you’ll need that ID to log into WordPress. Notice how Student1’s KidBlog ID is actually student1140476. 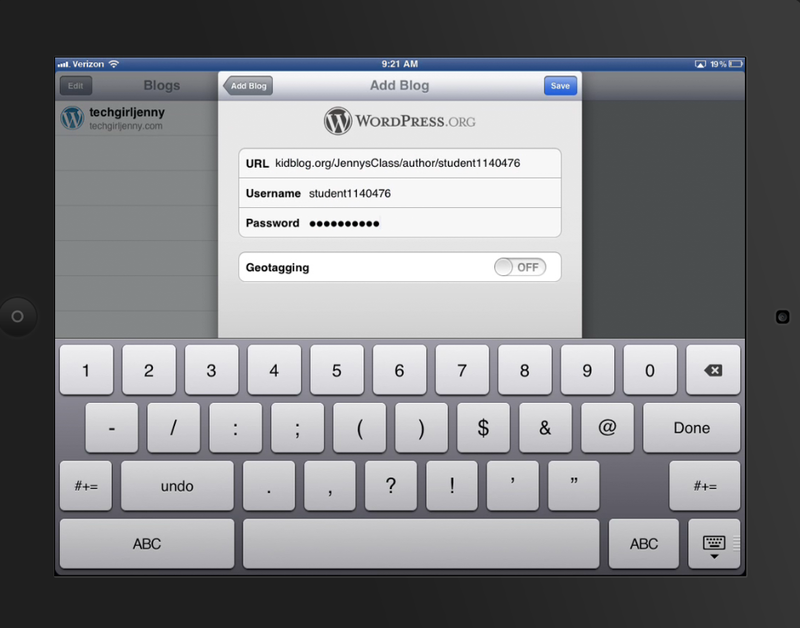 student1140476 is the username that Student1 will use to log into WordPress on the iPad. 7. 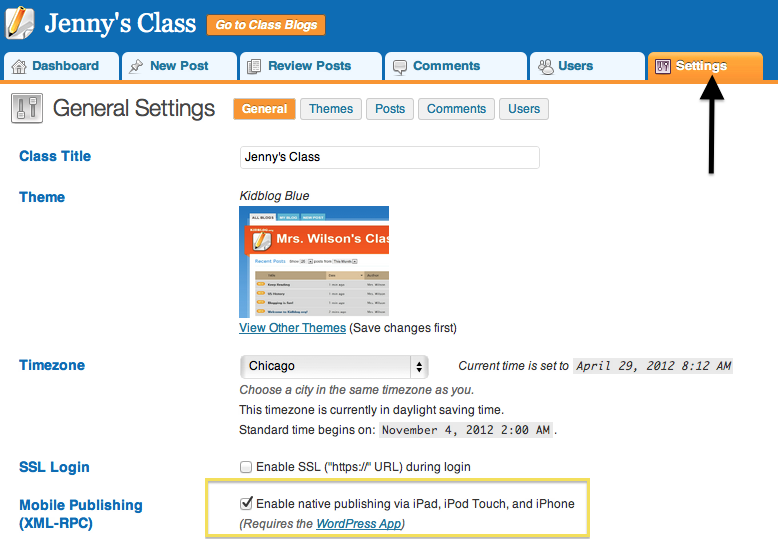 Click on the Settings tab and then be sure that Enable native publishing via iPad, iPod Touch, and iPhone is checked! 2. 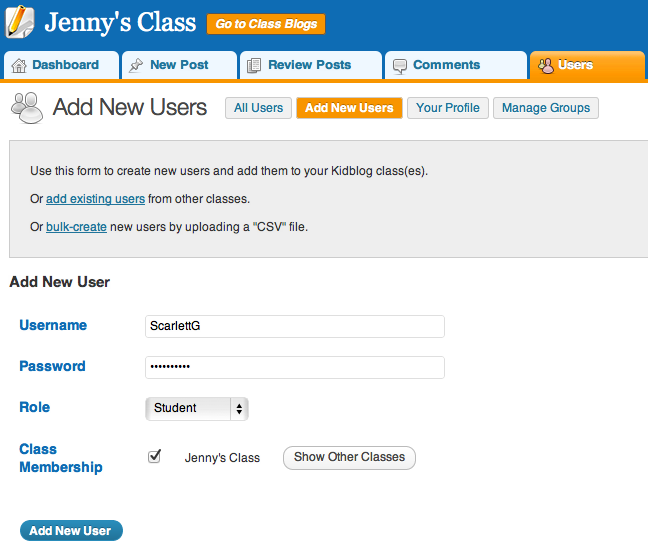 Enter the student’s Blog URL, Username and Password. Teachers can continue to moderate comments and posts at KidBlog.org! 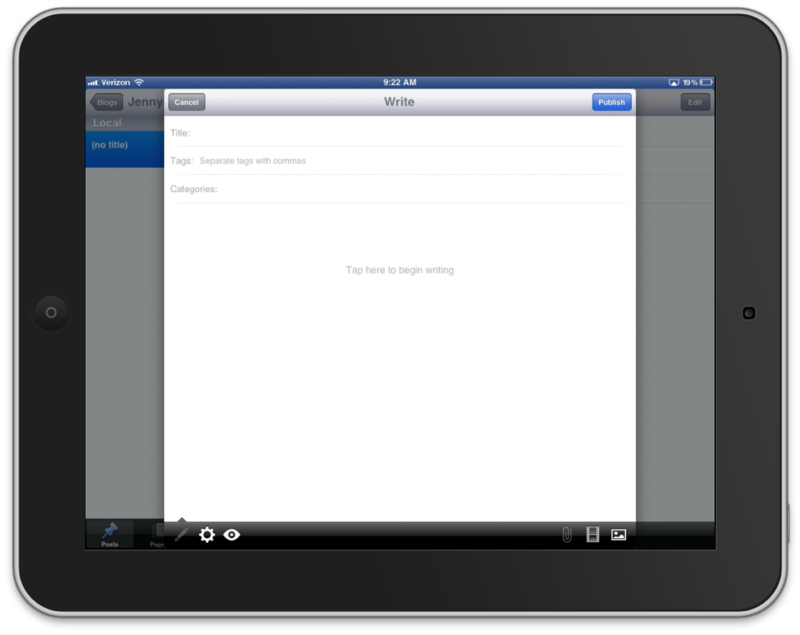 iMovie for iPad: Themes, Transitions, Titles, Tunes and More! 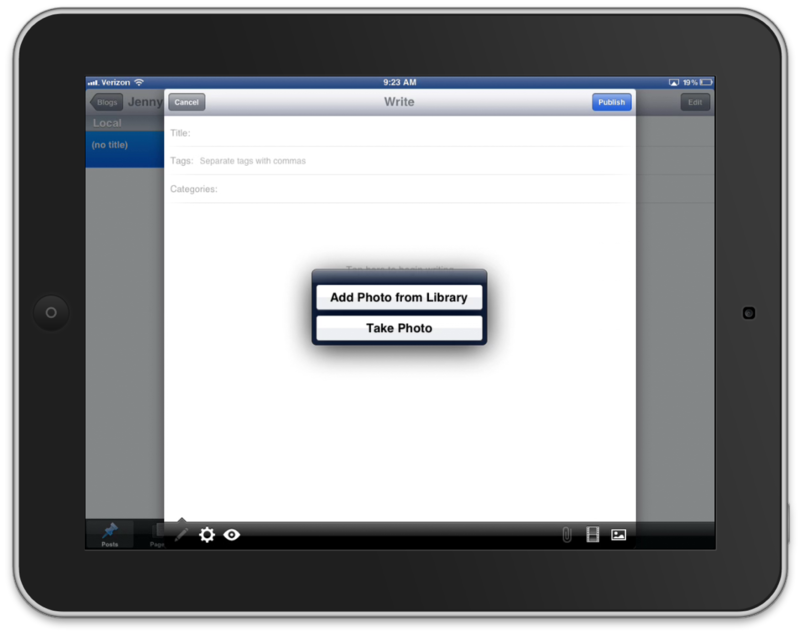 Download Videos to Your iPad with iCabMobile! Thanks for posting this. I just came across kidblog.org yesterday and wondered if the WordPress app would work on it. Being able to use the app will solve a lot of headaches for teachers! Is there an audience for the blogs outside of the classroom setup? Good question! You can adjust post settings so that all visitors (such as parents) can view students’ blogs or keep it private so that only classmates can view posts. 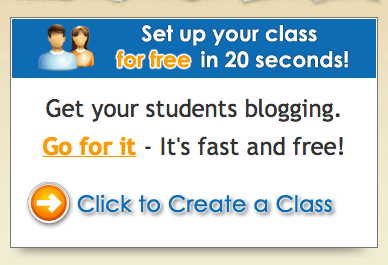 Looks like you have to click on the student’s name to see the KidBlog ID now. Yes, I saw that. However, it still did not allow students to post on their iPods. Works on the iPad just using text, but no pictures. I wonder if it has to do with your district filtering WordPress? Have you tried from home? Is your school district on iTunes U?